Millau - Viaduc de Millau - St. Rome-de-Tarn - Castelnau P?ayrols - Viala-du-Tarn - Ayss?es - Broqui? - Brousse-le-Ch?eau - Millau. A walk through the Raspes du Tarn. 5 to 11 trekking days (and option of extra rest- or walking days). Optional: alternately canoeing and walking stages from Millau towards Albi. Ask us! 4 packages: budget, standard, plus and superior. 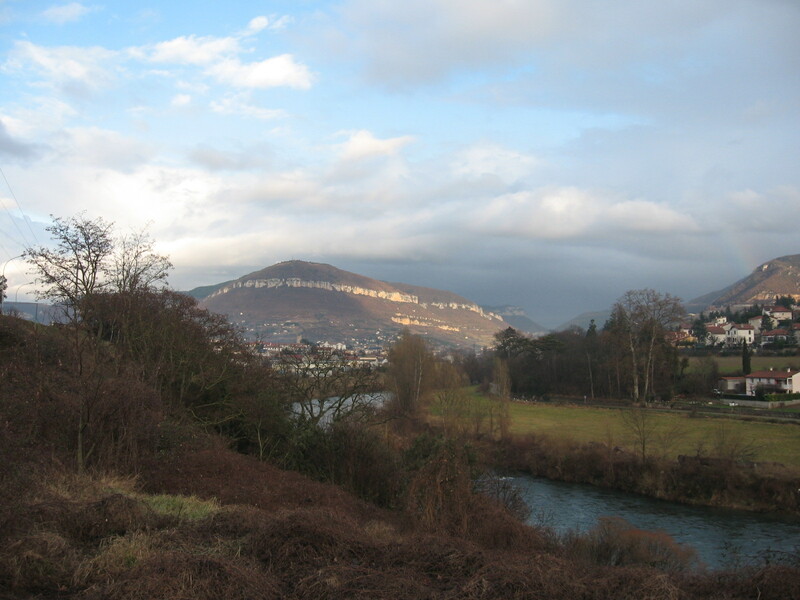 Budget and standard packages: B&B + dinner (except dinner in Millau). Plus and Superior packages : B&B + all dinners included. Hotels with toilet and shower/bath en suite in room in all packages. Start and end in Millau from March 15th to October 31st. cancelation plus package available on this walk. Find all travel information to get in the Grands Causses here. Rambling on quiet footpaths is a nice way of experiencing the very divers French countryside. All along Tarn River nature will please bird- and plant- and quiet lovers. Past and under the viaduct of Millau (a beautiful design of a British architect) you will walk into Pays de Roquefort and Tarn valley. In a very diverse scenery you'll walk on the Larzac Causse to medieval towns such as St. Rome-de-Luzen?n and St. Rome-de-Tarn. In Tarn valley you'll walk to a small viallages and climb to Montjaux to enjoy the views on the Cevennes Mountains and a view from above on the Viaduct of Millau. Viala-du-Tarn and Ayss?es are other medieval places worth visiting in this walk. In Brousse-le-Ch?eau and St. Izaire you will visit 9th to 15th century castles. In the longer trips you will walk all the way to " l'un des plus beau villages de France": Brousse-le-Chateau with its 9th and 13th century castle and to St. Izaire where you will visit a15th century castle. The hotel-keepers will pamper you with their outstanding cuisine. In this hiking tour your dog is allowed without extra costs in the Budget and the Standard packages. As with all other tours of La Ligne Verte you'll spend 90% of the walk on (single) tracks. Villages you will pass are small villages with up to 200 inhabitants. Millau is a town with 20000 people, St. Affrique is a small town with 9000 inhabitants. In between the villages, with the necessary stores, you will pass farms but will need to take your lunch with you. The hotels can provide a take away picknick (price € 8,- to € 11,-). You will walk 3 to 4 kms an hour, except pauzes.